Alaska – All things about our lives in Alaska. Projects – We have no shortage of projects. Here’s part 4 of a yet-to-be-determined part series on our migration from Minnesota to Alaska. We resume on Saturday morning (day 2) in Minot, ND. In Minot I saw something I don’t think I’d ever seen before in my life: diesel was less expensive than gasoline. I’ve spent my life in Minnesota, Wisconsin, and a short stint in upstate New York. Gasoline was always cheaper in those states. For example, at the Super America gas station near our old home in MN a gallon of regular unleaded gasoline currently sells for $1.49. A gallon of diesel will run you $2.05. 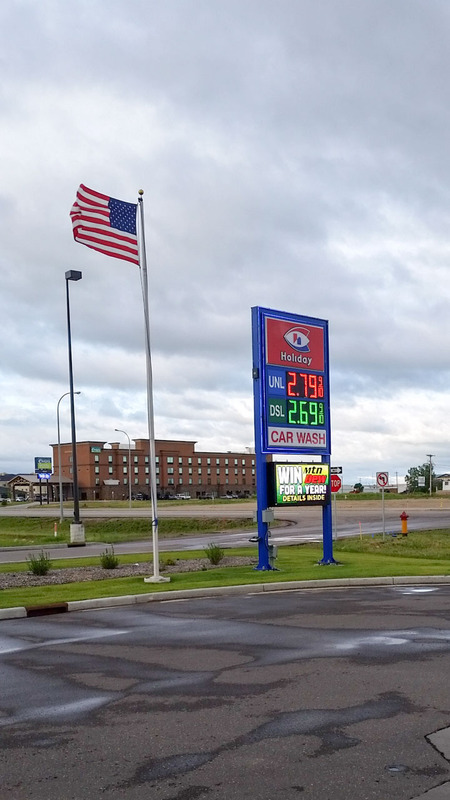 In Minot (remember, this was back in July before the bottom fell out of the oil market – I’m sure it’s cheaper today) on Saturday morning, diesel was $2.69 to gasoline’s $2.79. From Minot to Homer, diesel would stay cheaper than gasoline. When you’re getting around 7.5-8 mpg, every little bit helps. Somewhere between Minot and the Canadian border, my phone finished downloading all 34GB of my music library and we collectively decided to add Best Of Lynyrd Skynyrd to the library. We had music for the mountains! Woohoo! Here’s part 3 of a yet-to-be-determined part series on our migration from Minnesota to Alaska. Finally, we’re on the road. The idea was to cover roughly 12 hours a day, each of us taking 4 hours probably in 2-hour shifts. With 60 hours of driving, that meant 5 days of travel time. Knowing full well that something would come up, some days we’d start late, weather, road construction, wrecks (hopefully none that we’re involved in), and wildlife could all delay us I planned for a healthy buffer. We were to depart on Friday morning. Five solid days of driving would’ve put us in Homer on Tuesday night. A day for customs on either side and a day’s worth of late starts, sleeping in, and longer than planned meal stops would put us into Homer on Thursday night. Bad weather, mechanical issues, and any other unplanned events could eat up two days before Mechanic Guy and Tree Guy would need new flights home. If we hit Homer by Friday evening, we’d still have time for a day of fishing on Saturday. Not wanting to jinx it, I didn’t book a fishing charter even though I really wanted to get the Guys out halibut fishing. Here’s part 2 of a yet-to-be-determined part series on our migration from Minnesota to Alaska. Before I jump into the actual drive itself, I feel the need to share a little bit more about the prep, as it’ll provide a bit of context around my comments/opinions after we arrived at our destination. 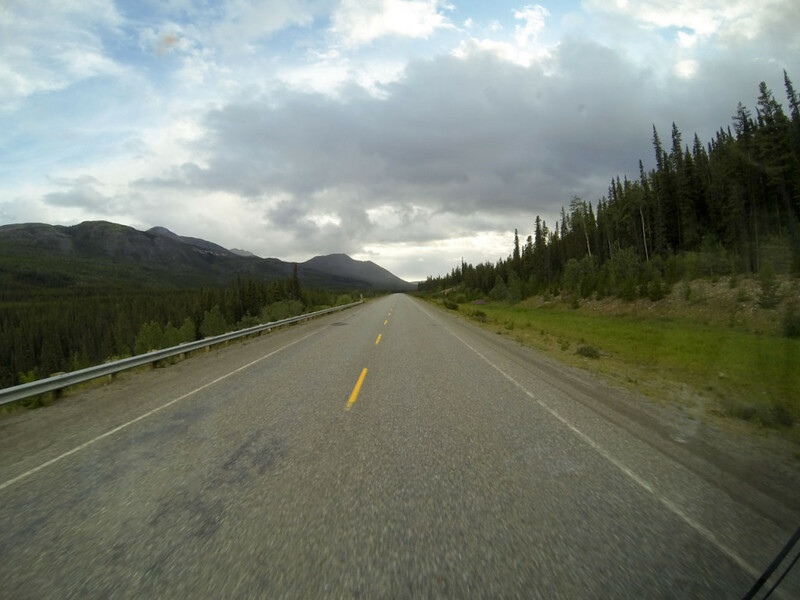 Having never experienced the Alaska Canada Highway (affectionally called the Alcan) or the roads to/from it, I tried to prepare as much as I could for the unknown. Having read countless horror stories of all the things that could go wrong, and how disconnected from the world you’ll be, I was a bit apprehensive. I didn’t know what to expect. The image I had in my head was a trip for only the most seasoned road warriors. You might pass 2 gas stations a day, the road would be in miserable condition, and god help you if you have mechanical troubles along the way or worse, if you hit a moose. You better be able to fix whatever problems you encounter yourself. 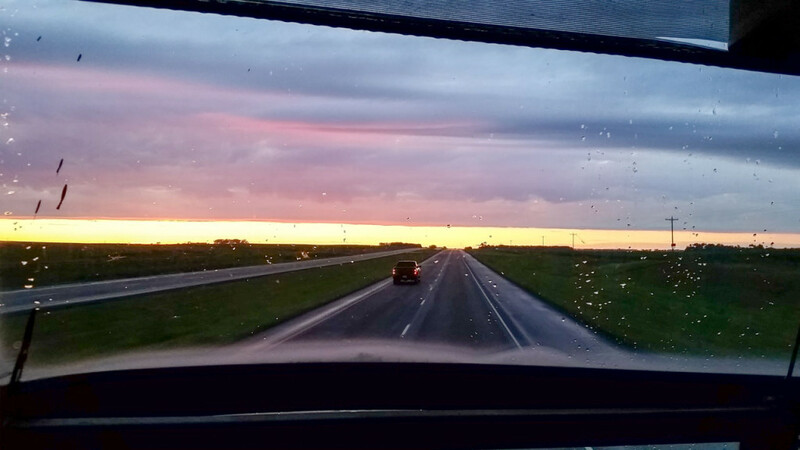 I was told the Alcan eats windshields like a child does candy. That’s all if you’re able to make it through customs without any issues. Here’s part 1 of a yet-to-be-determined part series on our migration from Minnesota to Alaska. As we’ve mentioned previously we own Mean Eugene (aka “Eug”), a 1994 Setra (Kässbohrer) S215 motor coach. Our acquisition of it is a pretty interesting story in its own right, but that’s a story for another day. For now, the important piece is that we bought it for two reasons. Short term, it was to be our 40′ moving van. Longer term, we wish to do a full conversion into a motorhome and use it to travel the country. After purchasing it, I spent a fair amount of time prepping it for the journey. 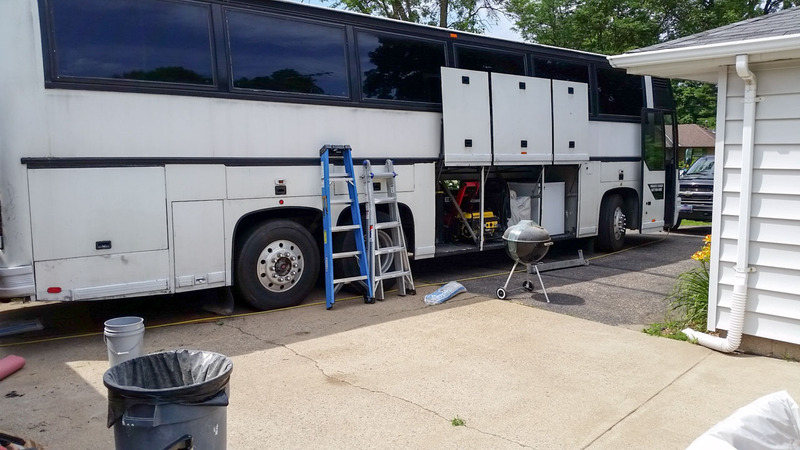 There were mechanical issues to be addressed, requirements for RV registration/plates, and requirements to be insured. This story begins at the end of all of that, as we began loading old Eug for the 3,400 mile journey from Minneapolis, MN to Homer, AK.